Posted on February 3, 2014 by Financial Underdog	in education, investing, personal finance. One of my core beliefs is that you have to put money aside and invest it to make it grow. Mutual funds were my first choice for investing back when I’ve started educating myself about investing money in general. Simply saving the money in your bank or purchasing GIC’s is a sure way to lose money because of inflation. Inflation will slowly eat up your savings, and Guaranteed Investment Certificates (GIC) returns are extremely low and won’t protect you. Investing in mutual funds sounds like a great idea for beginners, and in most cases mutual fund investing is a very appropriate choice. Mutual funds are extremely easy to purchase – if you can do online banking, you can purchase mutual funds. They’re diversified and in general it’s hard to lose all of your money with mutual funds. And what’s most appealing to me – you don’t need to manage them. You basically buy into a fund that is managed by a professional team; you personally don’t need to do anything but open up statements once in a while and watch your money grow (hopefully). These were the reasons why one day I’ve decided that mutual funds are the best thing since cheese you put on sliced bread, and searched for a mutual fund company representative in my area. After sitting down with him, most of my savings that were sitting in the bank were used to buy mutual funds, and for the next little while I felt like Gordon Gekko in the making – after all, I now owned tiny pieces of some very large companies and large pieces of very tiny companies. And in all honesty, it was a good learning experience for me – but I wish some of the things I’ve learned later were known to me before I bought my first mutual funds. When you walk into a brokerage company ready to start investing money in mutual funds and start talking to an agent, make sure you know how they get paid. While it might be an awkward question to ask, I think this is one of the most important questions that need to be answered before any transaction takes place because not all mutual funds sales reps are created equal. Quite a lot of them are paid on commission – these are usually employees of larger brokerage firms. They won’t charge you anything to do an analysis of your financial situation, and will purchase mutual funds for you through their company. Now, since nobody is working for free, the question is how do they get paid? They might receive a salary from the brokerage company, but in most cases, the majority of their income comes from commission paid by mutual fund companies for recommending their product. In some cases, sales commissions are their sole source of income. This is where things get interesting – depending on the mutual fund their commission may vary. Some mutual funds choose to pay a higher commission for recommending their products, which in turns creates a conflict of interest, at least in my mind. If product A pays me $5,000 commission and product B (which may or may not be a better product) pays $2,000 commission, can you trust my opinion? My spider sense is tingling, and so should be yours. Others are “fee only” consultants which means you pay them an up-front fee for doing an analysis of your financial situation, and making recommendations – which funds to purchase or how to re-balance your portfolio. This is more a “do-it-yourself” approach as then you can purchase recommended mutual funds through an online broker (which isn’t that hard) or your bank. Personally, I’m more comfortable with this approach because one might argue the advice you get from an independent consultant isn’t affected by commission payments. If I was to go back in time and start investing in mutual funds all over again, I would try to deal with “fee-only” consultants simply because of trust issues. It is my personal opinion (underline “personal opinion”) that when somebody gets paid a set fee, their recommendations will be less biased, and geared towards products that are better for me, not the ones that pay higher commission. Word of advice: when investing your money in mutual funds, make sure you know how your broker or consultant is getting paid. While it might be an awkward question, you must know this and keep it in mind when making your purchasing decisions. You have to be aware of the MER charges when investing your money in mutual funds because they do affect your returns. After all, if your fund gained 10% last year, your actual return would only be (10% – expense %). Some funds have higher expenses, some have lower ones. For example, index mutual funds almost always have lower expense ratios which make them far more appealing than mutual funds pushed by big brokerage companies, sometimes as high as 2.7%. You might not think this is a huge amount, but over the long period of time even 1% difference in MER charges makes a huge difference on your overall portfolio. If you feel like playing around with numbers, check out this calculator to get an idea how MERs can affect your portfolio performance. Also, keep in mind that fund’s management team gets paid either way. 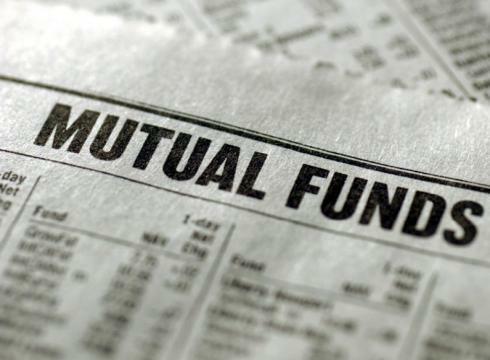 Whether your fund loses money or makes money, the MER amount is being taken out of the mutual fund and transferred to mutual fund management team. While some people might say that actively managed mutual funds deliver better results and thus make up for higher expenses, a number of studies find that only a minority of mutual funds beat the market. Personally, I wasn’t aware of management expense ratios when I was taking my first steps into investing world. To me all funds sounded the same, and the only number that mattered was their performance. If I was to start investing in mutual funds all over again, I would stay away from funds that charge high MER and instead look into cheaper index funds or ETF funds. Word of advice: when investing your money in mutual funds, be aware of management expense ratios (MER), look for them in prospectus documents, ask your broker about them, and keep them in mind when choosing between funds. 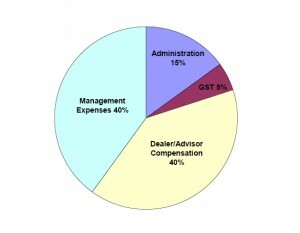 Most mutual funds have sales charges associated with them. Sometimes they’re charged right away and taken out of your investment thus reducing your buying power (these funds are known as front-loaded). Others charge you a sales charge when you decide to sell (back-loaded) and the amount is prorated to the length of time you’ve been holding your investments in this particular mutual fund. Believe it or not, there are also no-load mutual funds that don’t charge sales charges when you sell them. What does it mean to you? This means that if buy $10,000 worth of back-loaded mutual fund and decided to sell it the next day, you will get charged 6% of your investment. Most of this sales charge pays for the commission the mutual fund paid out to your broker when you put the transaction through. Now, is this a big deal? If your investment horizon is several decades and you’re in for a long haul, the deferred sales charge might not be a big deal to you. But if you’re just starting investing in mutual funds and you’re not sure how long you want to hold this particular fund, you might want to go with no-load funds. In my case, I had to pay deferred sales charges when I’ve decided to change my investment strategy and ended up selling my mutual funds. Word of advice: before you complete the transaction, make sure you’re aware of any DSC charges attached to funds you’re purchasing. Ask your broker – are these funds back-load, front-load, or no load at all? If your investment horizon is short, you might want to look into purchasing no-load mutual funds.